We've spent 20 years renovating homes. That means we have 20 years of bathroom renovations under our belt. When you decide to renovate your bathroom, it's best to start off with a wish list of everything you want. 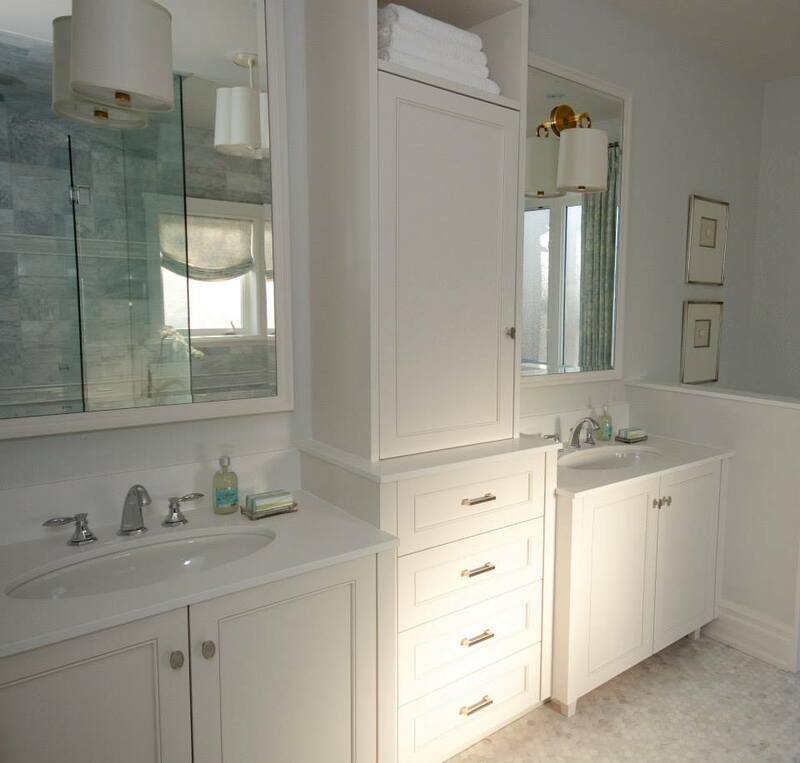 Take a look at your current bathroom. 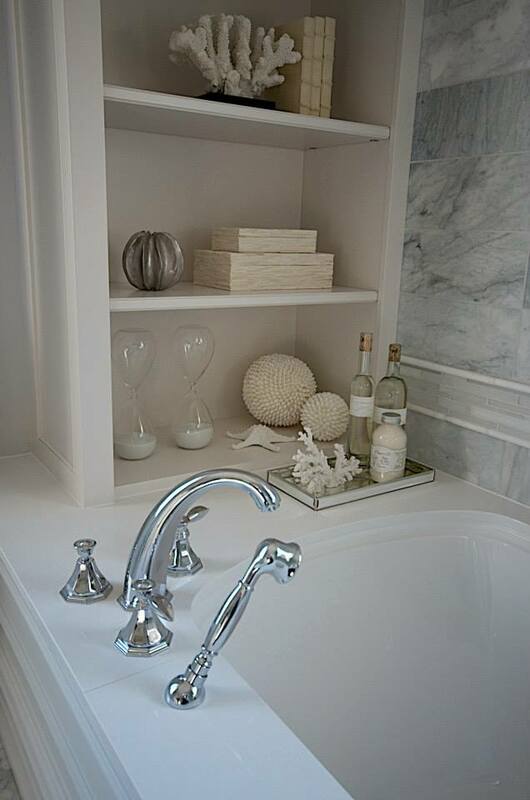 What do you love about your current bathroom? What are you ready to say goodbye to? Make a list of your must-haves and order them according to importance. A great way to get inspired and find out what it is that you do love in a bathroom, is to look at other bathrooms. 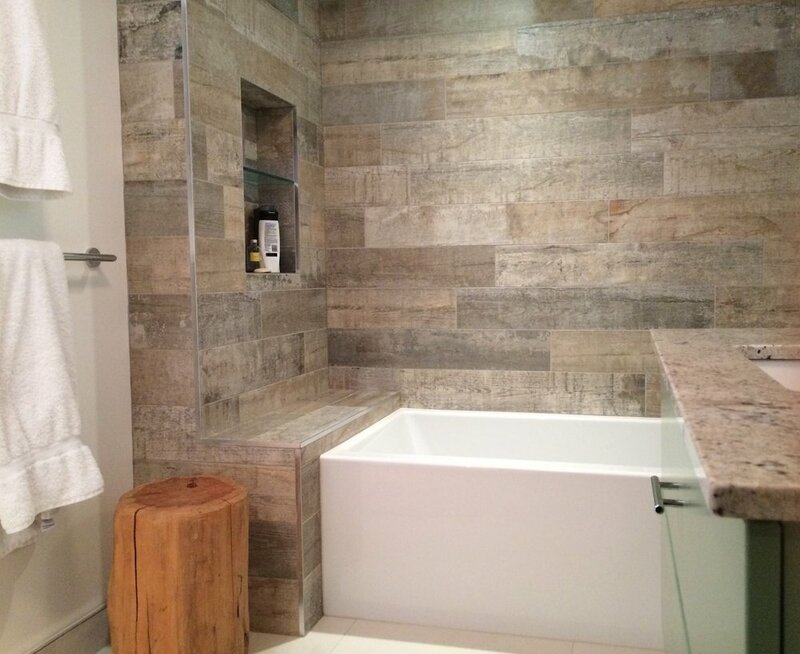 Check out our 5 favourite bathroom renovations and get inspired. 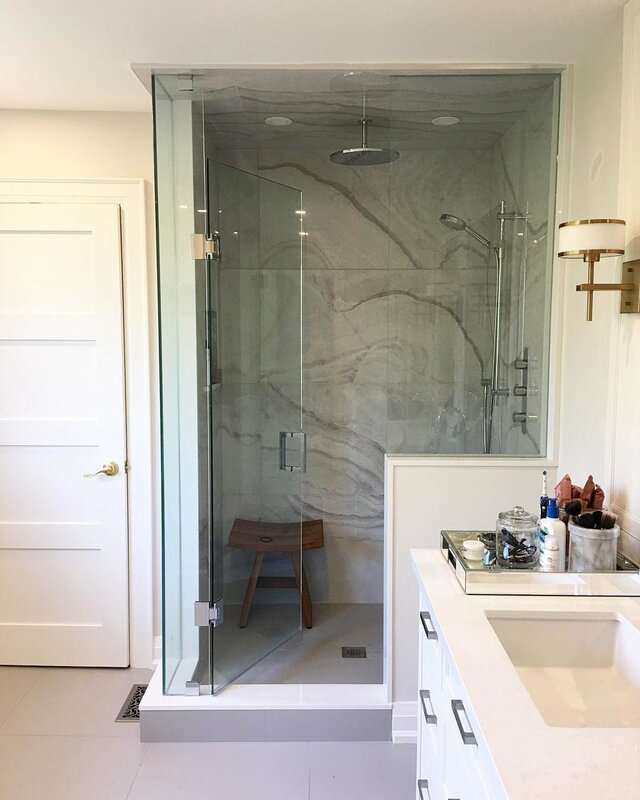 Our Oakville bathroom renovation features a rain shower head and stunning marble work in the spacious walk-in shower. Two years of planning and one year of implementation was needed to turn this 1920's Center Hall Tudor into the elegant three story home it has become. Complete demolition and re-builing of the interior was required to transform waterfront penthouse. It’s a question that a lot of homeowners ask themselves. The main reason that most homeowners turn to DIY home renovations is to save money. Sure, doing your own home renovation may save you a lot of money. But if you don’t know what you’re doing you can end up spending a lot more money than you would have if you had hired a contractor in the first place. So what jobs are suitable for DIY and what projects should be left to a professional contractor? There are a lot of factors to consider before you decide to do-it-yourself. I’ll go over common renovation projects and let you know which ones you can tackle and for which ones you will need to hire a professional tradesperson. The first thing to consider is whether or not it is legal for you to take on a specific renovation project. In most cases as long as you have all the needed permits and inspections you can do any type of renovation on your own home. But in those same municipalities, it is illegal for you to do the same renovations on someone else’s home. Maybe you have experience with one of the above and are confident that you can complete the job safely in your home. But if you aren’t licensed, you should still hire a contractor to ensure the job is being done correctly. A good way to determine if you should be doing a renovation on your own, ask yourself these three questions. Could you destroy your home? Does it require a permit? If you answer yes to any of these questions, you should hire a professional contractor or tradespers on to complete the job. When considering a home renovation DIY project, always remember to ask yourself before you being is this dangerous, could I severely damage my home and will it require a permit? If you answer yes, instead of picking up a hammer, pick up a phone and call a professional instead. Whether you’ve heard stories from friends and family, on the news or read about them online, we’ve all been exposed to the “nightmare renovation” plot. It all starts out great. A homeowner has a dream for the perfect home renovation that they can be happy with. But along the way, something goes terribly wrong and they are left with an unfinished kitchen, an unlivable living room or some other disaster that they need to fix. How can you avoid that fate? Take a look at the six tips below and you’ll be well on your way to your dream home renovation. Seems like a no-brainer, but a lot of homeowners with little to no experience in renovation chose to forgo hiring a professional contractor. Sure, you can go it alone, but be forewarned that the road to renovation without a professional will be paved with sleepless nights and a lot of stress. You need to be able to commit a lot of your time to your renovation aka all of your free time. By hiring a professional contractor, you’re getting someone on your team who has years of experience who can anticipate any problems that may arise. They will also take on the role of scheduling all the other trades who will need to work on your home. Finally, and most importantly, they are there to help you achieve the renovation you’ve been dreaming of—they take on the responsibility for the final product and ensuring that you are happy with the end result. Be sure to do your research when hiring a contractor—find out the 7 questions you should be asking before you hire a contractor. I’ve been talking about your “dream” renovation, and it really is great to dream! But there comes a time when you need to come back to reality—setting your budget is one of those times. Only you can properly set your budget. You know what you want your renovation to accomplish and you know what you are willing and able to spend on it. Work with your contractor to get an estimate and before you get started, be sure you are comfortable with the quote. Remember, finding the least expensive contractor isn’t the best way to choose a contractor. Be sure to keep a contractor’s references and experience in mind when making your choice. In every relationship, communication is key. The same is true for the contractor-client relationship—communication can make or break a renovation project. You need to make sure you and your contractor understand one another. You need to be on the same page, so put it on the page—get everything in writing. You have a vision, and it is important that you don’t assume that your contractor understands everything you want from the get-go. If you get written confirmation from your contractor, you can ensure you are both working towards the same end result. You hired a professional for a reason so it is essential for you to be open and willing to listen to your contractor. They will be able to make suggestions and recommendations that are suited to you and your home and are based on years of experience. With any large project, there are bound to be some unexpected bumps along the road. As a homeowner undertaking a home renovation, you need to be ready to roll with the punches. Your contractor may find issues that aren’t up to Ontario Building Code standards, older homes may have previously undiscovered issues and you may even be the one changing your mind along the road. Changes during a project aren’t a deal breaker but if you are prepared for the unexpected, you’ll be more comfortable when something pops up. Permits, permits, permits. Depending on where you live in the GTA and what your renovation plans are, there are different permits you will need to start your renovation. Most contractors will be able to help you determine which permits you need to apply for. But beware of any contractor who offers to save you money by not applying for permits. Homeowners are the ones who will be held responsible for any renovation work being conducted without a permit. And if you are found to not have a permit you maybe face problems like heavy fines, a delay in the work schedule and even having to completely remove the renovation because of zoning infractions. If you are renovating a condo, find out everything you need to know about condo permits and regulations. A home renovation is likely going to take some time. During that time, your home and life will be turned upside down. Especially if you are still living in your home during your renovation, try not to sweat the small stuff, like dust and plaster messes or the sounds that inevitably come with a home renovation. Instead, take a deep breath, get out of the house when you need to and remember why you are doing your renovation in the first place. While you may deal with a bit of stress during the process, it’s always worth it once you get to live in your newly renovated home!